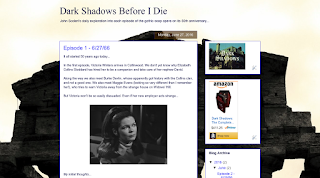 Just when you thought you had seen the last of our "TV show a day" blogs, this week co-host John Scoleri threw caution to the wind, and has embarked on a journey to watch and comment on every episode of Dark Shadows on the 50th anniversary of its original airdate. And yes, that means starting at the very beginning, not 200+ episodes in when Barnabas arrives. Right now the key question is can he do it? Remember, we're talking about 1225 episodes here. Five years. Well, perhaps you have the complete DVD collection in your library, and have been waiting for the perfect opportunity to crack those babies open. What better time, and what better way than to join in on the fun. 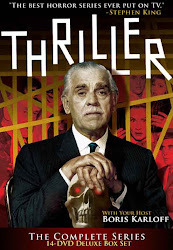 We now return you to your regularly scheduled program, Thriller-Dillers!